10 Jan What is Supply Chain Compliance and Why is it Important? When you hear the word compliance, what’s the first thing that comes to mind? Here is a good question to help you understand what compliance should look like in your organization. 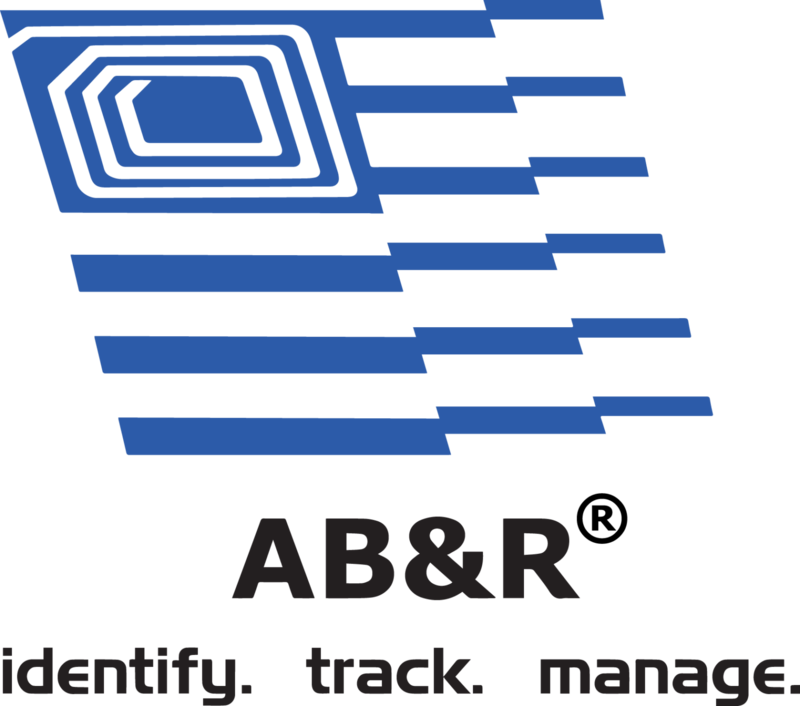 The great news about supply chain compliance is that AB&R® makes it a breeze. It’s one of our top six trends we’re following in 2019, and we have decades of experience in this area. 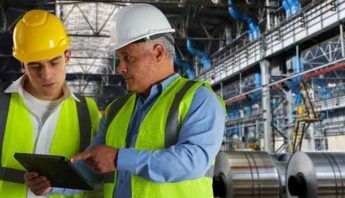 Supply chain compliance may include things such as employee labor laws, hazardous material handling, and environmental concerns. 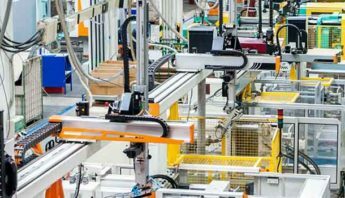 But, in this article, our focus for supply chain compliance touches on the importance of barcode and labeling requirements. A barcode is more than a combination of black and white stripes. They’re used on virtually everything you see, which is why it’s imperative they’re compliant. The GS1 Standard barcode was adopted in 1973 by industry leaders to standardize barcodes and unique numbers so they’re accepted by retailers and distributors worldwide. 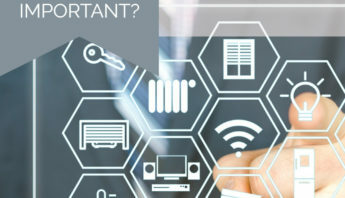 In addition, several agencies such as the Food and Drug Administration (FDA) require unique device identifiers (UDI) usually in the form of barcodes to contain information such as manufactured date and lot number to provide traceability. 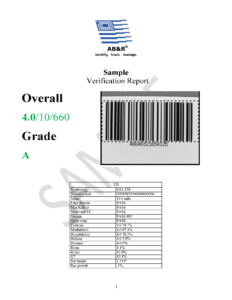 Click here to view a sample graded barcode report. A letter grade from A (4.0) to F (0.0) of your barcode. Full-spectrum analysis, which includes edge determination, minimum reflectance, defects, decidability, and more. A detailed report of barcode results, along with suggestions from our experts on how to improve. Recommendations on the type of material or label to use (which we’ll talk about in the next section). A non-compliant barcode means your vendors or partners may refuse items that don’t meet their standards, resulting in chargebacks and hefty fines. Check out the graphic to the right to see an example of a barcode grading report. If you’re interested in having your barcode graded, fill out the form below to receive an email with instructions. By the way, AB&R® will attend the GS1 Connect Conference June 19 – 21, 2019 at the Gaylord Rockies Convention Center in Denver, Colorado. Click here to learn more and to schedule an onsite appointment with us. A compliant barcode is just the first step to supply chain compliance. 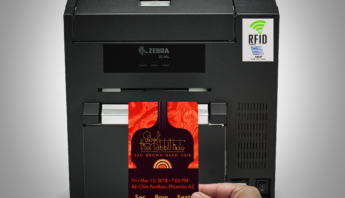 Next, the type of material used to print your barcode on will have a significant impact on how your barcode will be scanned. We have hundreds of harsh environment labels designed to work in even the most extreme environments. Our dedicated team of in-house label exports can provide exactly what you need. Learn more about how our label solutions will fit practically any application could imagine. Be sure to check out this case study to read how we helped a major healthcare company implement a new UDI labeling process for medical devices. When implementing supply chain compliance in your organization, it’s important to make sure you do it right. 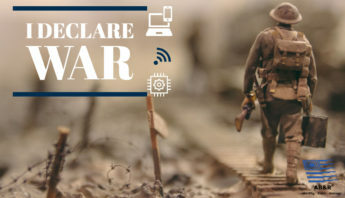 New technology and processes will likely need to be implemented, and what’s more, your staff will need to be on board and fully trained with these new changes. For that reason, you may want to consider a project manager to help oversee your implementation to help drive your compliance strategy forward. Ready to learn more about how to implement supply chain compliance in your organization? Click below to schedule a 30-minute call that’s convenient for you. Do you want us to grade your barcode for free? Use the form below to send us your information!